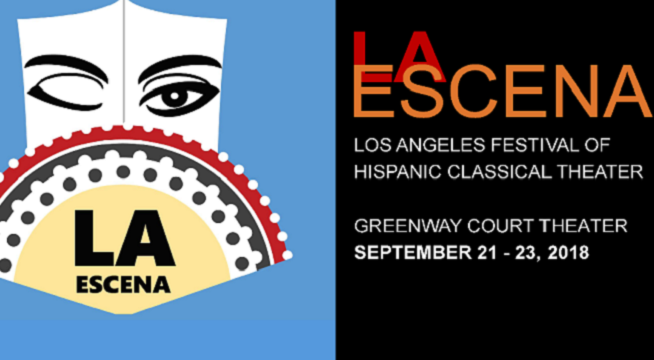 Los Angeles' first Hispanic classical theater festival, September 21 - 23, 2018. Cosponsored by CERS and Latin American Institute. All tickets $10.00. Purchase tickets here. Cutting-edge Mexican company EFE TRES will present Lope de Vega's El príncipe ynocente (The Innocent Prince), a meditation on political power and culpability reimagined as a dialogue in a prison cell, and El Merolico (The Mountebank), a reworking of Cervantes' comic interludes as delivered by a traveling performer in small-town Mexico. Playwrights' Arena will present the fourth Golden Tongues, brand-new comedia adaptations from LA playwrights in staged readings: Madhuri Shekar's School for Witches, or Friendship Betrayed, based on María de Zayas' La traición en la amistad; Janine Salinas Schoenberg's Like/Share, a riff on Calderón's Los cabellos de Absalón; and Michael Premsrirat's La locura de los ángeles/The madness of angels, adapted from Lope de Vega's Los locos de Valencia. Sylvia Blush and Jean Carlo Yunen Arostegui will direct Women and Servants, Lope de Vega's exploration of class, loyalty and desire in a very modern Madrid. The play, only recently rediscovered after 400 years, has been translated into English by UCLA Professor and LA Escena director Barbara Fuchs.